The House Un-American Activities Committee (HUAC) was an investigative committee of the United States House of Representatives. The HUAC was created in 1938 to investigate alleged disloyalty and subversive activities on the part of private citizens, public employees, and those organizations suspected of having Communist ties. In 1969, the House changed the committee's name to "House Committee on Internal Security". When the House abolished the committee in 1975, its functions were transferred to the House Judiciary Committee. The committee's anti-Communist investigations are often associated with those of Joseph McCarthy who, as a U.S. Senator, had no direct involvement with this House committee. McCarthy was the Chairman of the Government Operations Committee and its Permanent Subcommittee on Investigations of the U.S. Senate, not the House. The Overman Committee was a subcommittee of the Committee on the Judiciary chaired by North Carolina Democratic Senator Lee Slater Overman that operated from September 1918 to June 1919. The subcommittee investigated German as well as Bolshevik elements in the United States. This Committee was originally concerned with investigating pro-German sentiments in the American liquor industry. After World War I ended in November 1918 and the German threat lessened, the Committee began investigating Bolshevism, which had appeared as a threat during the First Red Scare after the Russian Revolution in 1917. The Committee's hearing into Bolshevik propaganda, conducted February 11 to March 10 of 1919, had a decisive role in constructing an image of a radical threat to the United States during the First Red Scare. 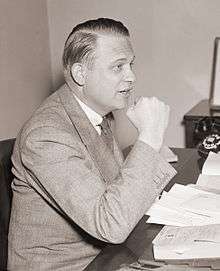 Congressman Hamilton Fish III (R-NY), who was a fervent anti-communist, introduced on May 5, 1930, House Resolution 180, which proposed to establish a committee to investigate communist activities in the United States. The resulting committee, commonly known as the Fish Committee, undertook extensive investigations of people and organizations suspected of being involved with or supporting communist activities in the United States. Among the committee's targets were the American Civil Liberties Union and communist presidential candidate William Z. Foster. The committee recommended granting the United States Department of Justice more authority to investigate communists, and strengthening of immigration and deportation laws to keep communists out of the United States. From 1934 to 1937, the Special Committee on Un-American Activities Authorized to Investigate Nazi Propaganda and Certain Other Propaganda Activities, chaired by John William McCormack (D-MA) and Samuel Dickstein (D-NY), held public and private hearings and collected testimony filling 4,300 pages. The committee was widely known as the McCormack-Dickstein committee. Its mandate was to get "information on how foreign subversive propaganda entered the U.S. and the organizations that were spreading it", and it was replaced with a similar committee that focused on pursuing communists. Its records are held by the National Archives and Records Administration as records related to HUAC. The committee investigated allegations of a fascist plot to seize the White House, known as the Business Plot. Although the plot was widely reported as a hoax, the committee confirmed some details of the accusations. It has been reported that while Dickstein served on this committee and the subsequent Special investigation committee he was paid $1250 a month by the Soviet NKVD, which hoped to get secret Congressional information on anti-Communists and pro-fascists; it is unclear whether he actually passed on any information. On May 26, 1938, the House Committee on Un-American Activities was established as a special investigating committee, reorganized from its previous incarnations as the Fish Committee and the McCormack-Dickstein Committee, to investigate alleged disloyalty and subversive activities on the part of private citizens, public employees, and those organizations suspected of having communist or fascist ties. It was chaired by Martin Dies, Jr. (D-Tex. ), and therefore known as the Dies Committee. 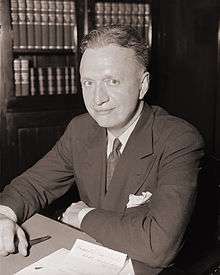 In 1938, Hallie Flanagan, the head of the Federal Theatre Project, was subpoenaed to appear before the committee to answer the charge the project was overrun with communists. Flanagan was called to testify for only a part of one day, while a clerk from the project was called in for two entire days. It was during this investigation that one of the committee members, Joe Starnes (D-Ala.), famously asked Flanagan whether the Elizabethan era playwright Christopher Marlowe was a member of the Communist Party, and mused "Mr. Euripides" preached class warfare. In 1939, the committee investigated leaders of the American Youth Congress, a Communist International affiliate organization. The Committee also put together an argument for the internment of Japanese Americans known as the "Yellow Report." Organized in response to rumors of Japanese Americans being coddled by the War Relocation Authority and news that some former inmates would be allowed to leave camp and Nisei soldiers to return to the West Coast, the committee investigated charges of fifth column activity in the camps. A number of anti-WRA arguments were presented in subsequent hearings, but Director Dillon Myer debunked the more inflammatory claims. The investigation was presented to the 77th Congress and alleged that certain cultural traits — Japanese loyalty to the Emperor, the number of Japanese fishermen in the US, and the Buddhist faith — were evidence for Japanese espionage. With the exception of Rep. Herman Eberharter (D-Pa.), the members of the committee seemed to support internment, and its recommendations to expedite the impending segregation of "troublemakers," establish a system to investigate applicants for leave clearance, and step up Americanization and assimilation efforts largely coincided with WRA goals. In 1946, the committee considered opening investigations into the Ku Klux Klan but decided against doing so, prompting white supremacist committee member John E. Rankin (D-Miss.) to remark, "After all, the KKK is an old American institution." Instead of the Klan, HUAC concentrated on investigating the possibility that the American Communist Party had infiltrated the Works Progress Administration, including the Federal Theatre Project and the Federal Writers' Project. Twenty years later, in 1965–1966, however, the Committee did conduct an investigation into Klan activities under chairman Edwin Willis (D-La.). 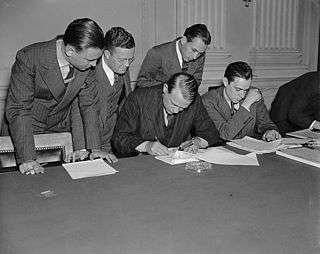 The House Committee on Un-American Activities became a standing (permanent) committee in 1945. 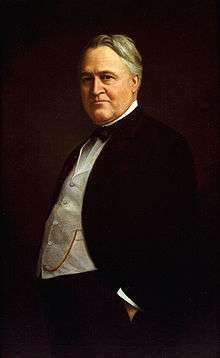 Democratic Representative Edward J. Hart of New Jersey became the committee's first chairman. Under the mandate of Public Law 601, passed by the 79th Congress, the committee of nine representatives investigated suspected threats of subversion or propaganda that attacked "the form of government guaranteed by our Constitution." Under this mandate, the committee focused its investigations on real and suspected communists in positions of actual or supposed influence in the United States society. A significant step for HUAC was its investigation of the charges of espionage brought against Alger Hiss in 1948. This investigation ultimately resulted in Hiss's trial and conviction for perjury, and convinced many of the usefulness of congressional committees for uncovering communist subversion. In 1947, the committee held nine days of hearings into alleged communist propaganda and influence in the Hollywood motion picture industry. After conviction on contempt of Congress charges for refusal to answer some questions posed by committee members, "The Hollywood Ten" were blacklisted by the industry. Eventually, more than 300 artists—including directors, radio commentators, actors and particularly screenwriters—were boycotted by the studios. Some, like Charlie Chaplin, Orson Welles, Paul Robeson and Yip Harburg, left the U.S or went underground to find work. Others wrote under pseudonyms or the names of colleagues. Only about ten percent succeeded in rebuilding careers within the entertainment industry. In 1947, studio executives told the committee that wartime films—such as Mission to Moscow, The North Star, and Song of Russia—could be considered pro-Soviet propaganda, but claimed that the films were valuable in the context of the Allied war effort, and that they were made (in the case of Mission to Moscow) at the request of White House officials. In response to the House investigations, most studios produced a number of anti-communist and anti-Soviet propaganda films such as Guilty of Treason (about the ordeal and trial of Cardinal József Mindszenty), The Red Menace, The Red Danube, The Woman on Pier 13, Red Planet Mars, I Was a Communist for the FBI, which was nominated for an Academy Award for the best documentary in 1951 and also serialized for radio, and John Wayne's Big Jim McLain. Universal-International Pictures was the only major studio that did not produce such a film. On July 31, 1948, the committee heard testimony from Elizabeth Bentley, an American who had been working as a Soviet agent in New York. Among those whom she named as communists was Harry Dexter White. The committee subpoenaed Whittaker Chambers for August 3, 1948. Chambers, too, was a former Soviet spy, by then foreign desk editor of Time magazine. Chambers cited the names of more than a half dozen government officials including White as well as Alger Hiss (and Hiss' brother Donald). The majority of these former officials refused to answer committee questions, citing the Fifth Amendment. White denied the allegations and died of a heart attack a few days later. Hiss also denied all charges; however, doubts about his testimony, especially those expressed by freshman Congressman Richard Nixon, led to further investigation that strongly suggested Hiss had made a number of false statements. Hiss challenged Chambers to repeat his charges outside of a Congressional committee, which Chambers did. Hiss sued for libel, leading Chambers to produce copies of State Department documents which he claimed Hiss had given him in 1938. Hiss denied this before a grand jury, was indicted for perjury, and was convicted and imprisoned. The present-day House of Representatives website on HUAC states that "In the 1990s, relying on Soviet archives and records from the Venona project – a secret U.S. program that decrypted Soviet intelligence messages – some scholars argued that Hiss had indeed been a spy on the Kremlin's payroll." 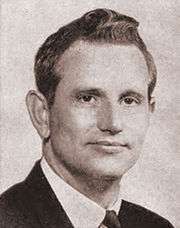 Democrat Richard Howard Ichord Jr. of Missouri was chair of the renamed House Internal Security Committee from 1969 until its termination in January 1975. In the wake of the downfall of McCarthy (who never served in the House, nor HUAC), the prestige of HUAC began a gradual decline beginning in the late 1950s. By 1959, the committee was being denounced by former President Harry S. Truman as the "most un-American thing in the country today." In May 1960, the committee held hearings in San Francisco City Hall that led to the infamous "riot" on May 13, when city police officers fire-hosed protesting students from UC Berkeley, Stanford, and other local colleges and dragged them down the marble steps beneath the rotunda, leaving some seriously injured. Soviet affairs expert William Mandel, who had been subpoenaed to testify, angrily denounced the committee and the police in a blistering statement which was aired repeatedly for years thereafter on Pacifica Radio station KPFA in Berkeley. An anti-communist propaganda film, Operation Abolition, was produced by the committee from subpoenaed local news reports, and shown around the country during 1960 and 1961. In response, the Northern California ACLU produced a film called Operation Correction, which discussed falsehoods in the first film. Scenes from the hearings and protest were later featured in the Academy Award nominated 1990 documentary Berkeley in the Sixties. The committee lost considerable prestige as the 1960s progressed, increasingly becoming the target of political satirists and the defiance of a new generation of political activists. HUAC subpoenaed Jerry Rubin and Abbie Hoffman of the Yippies in 1967, and again in the aftermath of the 1968 Democratic National Convention. The Yippies used the media attention to make a mockery of the proceedings. Rubin came to one session dressed as a United States Revolutionary War soldier and passed out copies of the United States Declaration of Independence to people in attendance. Rubin then "blew giant gum bubbles while his co-witnesses taunted the committee with Nazi salutes." Hoffman attended a session dressed as Santa Claus. On another occasion, police stopped Hoffman at the building entrance and arrested him for wearing the United States flag. Hoffman quipped to the press, "I regret that I have but one shirt to give for my country," paraphrasing the last words of revolutionary patriot Nathan Hale; Rubin, who was wearing a matching Viet Cong flag, shouted that the police were communists for not arresting him also. In the fifties, the most effective sanction was terror. Almost any publicity from HUAC meant the 'blacklist.' Without a chance to clear his name, a witness would suddenly find himself without friends and without a job. But it is not easy to see how in 1969 a HUAC blacklist could terrorize an SDS activist. Witnesses like Jerry Rubin have openly boasted of their contempt for American institutions. A subpoena from HUAC would be unlikely to scandalize Abbie Hoffman or his friends. In an attempt to reinvent itself, the committee was renamed as the Internal Security Committee in 1969. The House Committee on Internal Security was formally terminated on January 14, 1975, the day of the opening of the 94th Congress. The Committee's files and staff were transferred on that day to the House Judiciary Committee. In June 2016, former congressman Newt Gingrich advocated the creation of a new House Un-American Activities Committee in order to combat Islamic terrorism. For a complete list of members, see List of members of the House Un-American Activities Committee. ↑ Frum, David (2000). How We Got Here: The '70s. New York, New York: Basic Books. p. 265. ISBN 0-465-04195-7. ↑ "Complete Digitized Testimonies: The U.S. Congress Special Committee on Communist Activities in Washington State Hearings (1930)". Communism in Washington State History and Memory Project. Retrieved 21 August 2012. ↑ Weinstein, Allen; Vassiliev, Alexander (2000-03-14). The Haunted Wood: Soviet Espionage in America—The Stalin Era. New York: Modern Library. pp. 140–150. ISBN 0-375-75536-5. ↑ Finkelman, Paul (2006-10-10). Encyclopedia of American Civil Liberties. CRC Press. p. 780. ISBN 978-0-415-94342-0. Retrieved 25 May 2011. ↑ "House Un-American Activities Committee". Eleanor Roosevelt National Historic Site. National Park Service. Archived from the original on 2010-05-29. Retrieved 25 May 2011. ↑ Nightingale, Benedict (September 18, 1988). "Mr. Euripides Goes To Washington". The New York Times. Retrieved May 4, 2010. 1 2 Myer, Dillon S. Uprooted Americans. Tucson: U of Arizona P, 1971. p. 19. 1 2 Niiya, Brian. "Dies Committee". Densho Encyclopedia. Retrieved August 21, 2014. ↑ Newton, Michael. The Ku Klux Klan in Mississippi A History. Jefferson, N.C.: McFarland & Co, 2010, p. 102. ↑ Newton, Michael. The Ku Klux Klan in Mississippi A History. Jefferson, N.C.: McFarland & Co, 2010, p. 162. ↑ Doug Linder, The Alger Hiss Trials – 1949–50, 2003. ↑ Dan Georgakas, "Hollywood Blacklist", in: Encyclopedia Of The American Left, 1992. ↑ Chambers, Whittaker (1952). Witness. Random House. ISBN 0-89526-571-0. ↑ Weinstein, Allen (2013). Perjury. Hoover Institution Press. ISBN 0-81791-225-8. 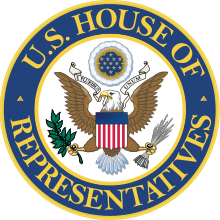 ↑ "Office of the Clerk of the U.S. House of Representatives". Retrieved 15 July 2012. ↑ Carl Nolte (May 13, 2010). "'Black Friday,' birth of U.S. protest movement". San Francisco Chronicle. ↑ "Operation Abolition", Time magazine, 1961. ↑ "Operation Abolition", video.google.com and Time magazine, Friday, Mar. 17, 1961. ↑ Youth International Party, 1992. ↑ Jerry Rubin, A Yippie Manifesto. ↑ Staples 2006, p. 284. 1 2 Charles E. Schamel, Records of the US House of Representatives, Record Group 233: Records of the House Un-American Activities Committee, 1945-1969 (Renamed the) House Internal Security Committee, 1969-1976. Washington, DC: Center for Legislative Archives, National Archives and Records, July 1995; pg. 4. ↑ "Newt Gingrich wants new House Un-American Activities Committee". CNN.com. Staples, William G. (2006). Encyclopedia of Privacy. Greenwood Press. ISBN 978-0-313-08670-0. Investigation of un-American propaganda activities in the United States. Hearings before a Special Committee on Un-American Activities, House of Representatives (1938-1944), Volumes 1-17 with Appendices. University of Pennsylvania online gateway to Internet Archive and Hathi Trust. United States House Committee on Internal Security University of Pennsylvania online gateway to Internet Archive and Hathi Trust. Schamel, Gharles E. Inventory of records of the Special Committee on Un-American activities, 1938-1944 (the Dies committee). Center for Legislative Archives, National Archives and Records Administration. Washington, D.C., July 1995. Schamel, Gharles E. Records of the House Un-American Activities committee, 1945-1969, renamed the House Internal Security committee, 1969-1976. Center for Legislative Archives, National Archives and Records Administration. Washington, D.C., July 1995. Ship, Reuben (2000). "From the Archives: The Investigator (1954): A Radio Play by Reuben Ship". The Journal for MultiMedia History. 3. Bentley, Eric, ed. (2002) [1971, Viking Press]. Thirty Years of Treason: Excerpts from Hearings Before the House Committee on Un-American Activities, 1938–1968. Nation Books. ISBN 1-56025-368-1. Buckley, William F. (1962). The Committee and Its Critics; a Calm Review of the House Committee on Un-American Activities. Putnam Books. Chambers, Whittaker (1952). Witness. Random House. ISBN 0-89526-571-0. Donner, Frank J. (1967). The Un-Americans. Ballantine Books. Gladchuk, John Joseph (2006). Hollywood and Anticommunism: HUAC and the Evolution of the Red Menace, 1935-1950. Routledge. ISBN 0-415-95568-8. Goodman, Walter (1968). The Committee: The Extraordinary Career of the House Committee on Un-American Activities. Farrar Straus & Giroux. ISBN 0-374-12688-7. Newton, Michael (2010). The Ku Klux Klan in Mississippi: a history. McFarland. ISBN 978-0-7864-4653-7. O'Reilly, Kenneth (1983). Hoover and the Unamericans: The FBI, HUAC, and the Red Menace. Temple University Press. ISBN 0-87722-301-7. Schmidt, Regin (2000). Red Scare: FBI and the Origins of Anticommunism in the United States, 1919–1943. Museum Tusculanum Press. ISBN 9788772895819. Bogart, Humphrey (March 1948). "I am no communist". Photoplay. Retrieved 28 August 2013. Seidel, Robert W. (2001). "The National Laboratories and the Atomic Energy Commission in the Early Cold War". Historical Studies in the Physical and Biological Sciences. 32 (1): 145–162. doi:10.1525/hsps.2001.32.1.145.